Description: Offered the day before conference kickoff on Monday, March 5, Partner Day presents the latest news on SAP’s digital transformation strategy, updates on industry trends, and the SAP roadmap for chemicals. This workshop will be presented by leadership from within the SAP ecosystem. 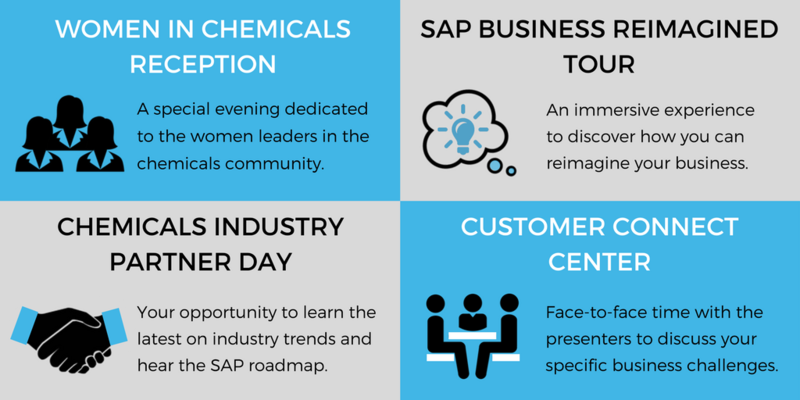 Description: Honoring the exceptional women leaders in the chemicals community, SAP Forward brings together a multitude of thought-leaders and professionals. During an evening of entertainment, a panel of influential women take a deep dive into hot-button issues experienced throughout the industry. Description: The SAP Business Reimagined Tour is a mobile pop-up lab that brings innovation directly to you with virtual experience. Using digital technology, you’ll replace reality with this wholly immersive simulation while learning practical applications. The BRT allows you to reimagine your business model, processes, and the future of your work. 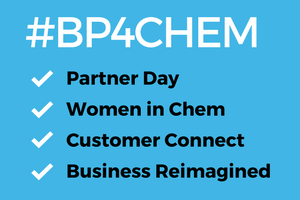 Description: Available during #BP4Chem’s networking breaks, this feature allows customers one-on-one time with the speakers and presenters in order to have more in-depth conversations about specific business challenges.